NOTICE: All courses will be available in person and virtually. If you are within +/- 3 hours of London time zone, this training is available to you during ideal hours of the day. View courses available in London. Experience unparalleled training by the leading authority in process improvement and related training. 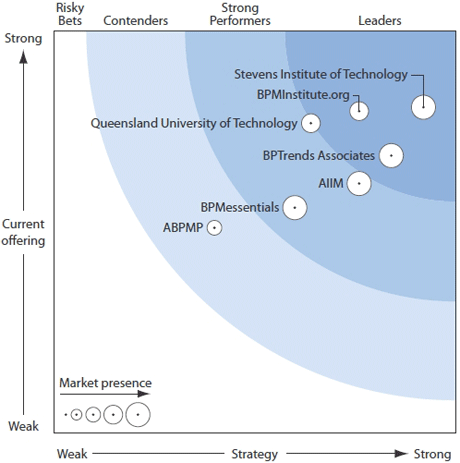 Recognized by Forrester Research as a leader in providing BPM training and certification, BPMInstitute.org received the highest possible score in 5 categories. 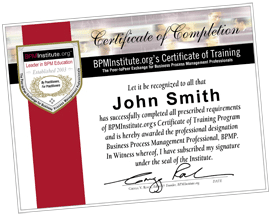 Only BPMInstitute.org can provide you with a full curriculum of 30 courses, seven professional certificates and a certification around process improvement. And only we can provide our courses on demand, live online and in person throughout the year. Our instructors are leading experts who provide you with comprehensive training that includes real world case studies and hands-on exercises. Use our role-based Learning Paths guide to choose the courses that are right for you and register for BrainStorm London.